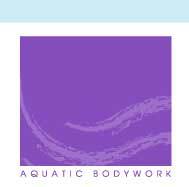 Aquatic Bodywork practitioner training is available in South Africa through the Hydrotherapy and Aquatic Bodywork Association of South Africa. The program is taught part-time over two years. 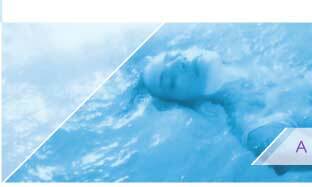 The foundation course covers the physiology of immersion, hydrodynamics, safe body mechanics, techniques for learning and doing bodywork in water, ethics, and the eight foundations of the work. This module covers the theoretical and practical aspects of dispersal and tonification methods, breathing techniques and meridian stretches. You learn how to work with and understand the concepts of working with life-force energy, the principles of Yin/Yang and how they correspond to the Five Elements, the meridians, the emotions and personality and ultimately to disease. Using a head pillow, you will learn how to how to begin and end a session and to communicate and respond effectively. You will learn to correctly float your client using floating apparatus. 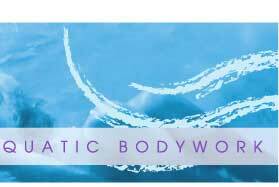 You will learn basic psychosomatics, and how to apply massage, acupressure, breathing, mobilisation and stretching techniques with the aim of gently releasing, aligning and reintegrating the body in water. Removing the head pillow, you will learn how to use your own body to apply shiatsu techniques in the water while focusing on “the flow” and its psycho-physical effects. You will learn common pathologies addressed in water and how to adapt a session to deal with them effectively and safely. This module is a technical approach to the vast field of practical and theory covered in the first year, and prepares the student to start the more detailed study of Shiatsu Assessments, and how to accurately put together a treatment for individuals specific needs to assist them in the process of “achieving balance”. Movement through the water and advanced techniques are added to first year work and include a variety of moves and techniques that maximize the use of the water in the session. Techniques are added to disperse or tonify the areas of the hara in sessions, and the physical implications of emotions and thoughts and the significance of the different parts of the body in holistic health are expanded upon in psychosomatic considerations. This module expands on the sequence already learned, and adds more advanced moves, stretches and acupressure point work. The student is taught ways in which to adapt a session and do lifts, rolls, step work, wall work, powerful stretches and other advanced moves, which introduce 'free flow'. In this course you will learn the theory behind the work and the techniques to guide the receiver (wearing a noseclip) into the weightless, three-dimensional space of the underwater world. Extensions, stretches, flexions, dolphin-like movements and undulating body-wave rhythms will become part of your repertoire and you will learn how to release not only on the physical level, but allow the deepest states of relaxation and meditation to be experienced. The student now begins to exercise 'dolphin intuition' so that space and pace can be tailored to each session and allow each client to experience the world below the water’s surface freely and gracefully. Students are required to take theory and practical examinations at the end of each year. Once qualified as practitioners, students are added to the national practitioner list, listed on the website, and may use registered trademarks and logos.